Evening Haunted Trolley Tour is no longer open. 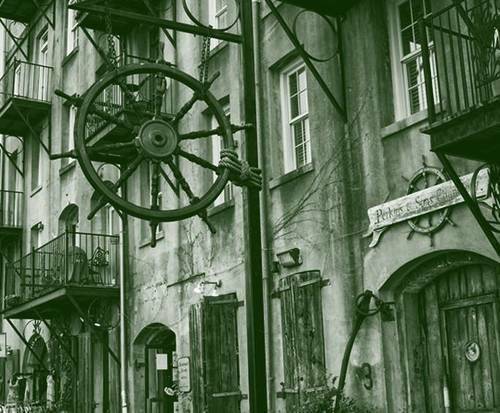 The city of Savannah has long been noted for its haunted past, and with the Evening Haunted Trolley Tour, you'll have the chance to uncover the many tales and sights that lend credibility to the haunted claims of the city's history. 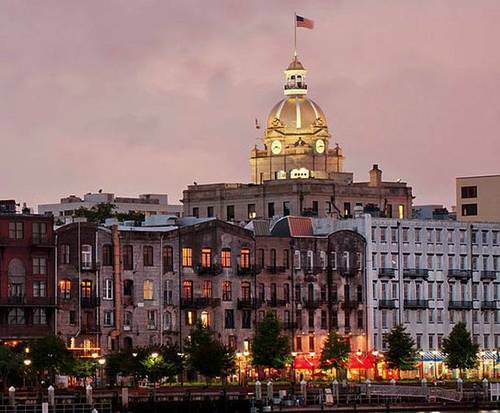 On this 90-minute trolley tour, you will have the opportunity to explore America's Most Haunted City while your guide provides you with verifiable accounts of the murders, mysteries, and spirits of the area's past. Listen to tragic tales of some of the most prominent Savannah spirits, including Alice Reily, Nathaniel Green, and Anna the ghost that haunts the area's hotels. The trolley will take you throughout the entire historic district, taking you past the sights listed below and many others. The Evening Haunted Trolley will let you decide for yourself whether Savannah's haunting tales are fabricated from its long, sometimes tumultuous history or they are set in a bed of credence. This historic church is a Gothic Revival that was built in 1868, and is said to be one of the handsomest churches in the South. The church was founded by John Wesley, whose brother Charles wrote the words to nearly 6000 hymns, including "Hark! The Herald Angels Sing". This historic parlor was founded in 1919 by a trio of brothers, Peter, George, and Basil Leopold, who learned the art of dessert and candy from an uncle. They opened their own ice cream parlor after perfecting their secret formulas and created their namesake, world famous ice cream. Over the years, the parlor has continued to flourish under the management of the Leopold family. This beautifully restored cottage is dedicated to the preservation of African-American culture and history, and is named for Eugene and Sarah King, and Sarah's second husband, Robert Tisdell. The cottage contains numerous artifacts and is furnished in periodical pieces that match those of a coastal black residence in the 1890's. The International Seamen's house was founded in 1843, and has served as an evangelical Christian ministry to mariners and seamen from all over the world. It provides numerous services, including internet and telephone access to allow mariners to communicate with their families from over-seas. Founded in the 1750's, the Independence Presbyterian Church has seen battles and storms that have caused the building to be destroyed and rebuilt in several places, finally built in it's most recent and now present location in 1819. The church was founded by Scotsmen who made land with James Oglethorpe in 1733 and brought with them their fierce faith and culture. The historic Savannah Theatre first opened it's doors in 1818 with a performance of "The Soldier's Daughter". The original building was designed by William Jay, who is also the designer for the Telfair Mansion and the Owens-Thomas House, both in Savannah. In 1898 a hurricane hit the original structure and tore sections of the roof off of the building and flooded the auditorium. Two fires in 1906 and 1948 led to several overhauls to the building, and after the 1948 fire, the style of the theatre was changed to Art Deco. Built in 1842, this 19th century mansion has seen numerous owners and now stands as a historic house that guests can tour, taking a step back in time within this Greek Revival home that boasts antique furniture, paintings, and sophisticated architecture. One of the most stunning features within the mansion are the collection of elaborate chandeliers hung throughout the estate. Originally started in 1959 by the Garden Club Council of Chatham City, the Garden of Fragrance in Forsyth Park was designed by Georges Bignault and is surrounded by three wells to assist in containing the fragrance of the scented plants. The fourth side is an ornamental iron fence, and the entrance is an iron gate erected in the memory of Frances Smith Littlefield by her friends and members of her garden club. In 2002, the garden underwent renovations, and new fragrant plants were added by the Park and Tree Department, Trustees Garden Club and Junior League. Built in 1856, this historic home rests on Lafayette Square and was the birthplace and childhood home of Flannery O'Connor, an American writer and essayist that lived from 1925 to 1964. During her career, O'Connor wrote a total of two novels and thirty-two short stories, as well as reviews and commentaries. Originally built of Savannah gray brick and covered with stucco, the First Baptist Church is the oldest standing house of worship in Savannah. Relocated and completed in 1833, the church went through an enlargement and renovation between 1839 and 1922, taking on characteristics of the Greek revival style. It is one of very few churches that did not close during the Civil War. Factors Walk is a series of concrete and iron walkways connected to the bluff just above the River Walk. Factors Row is an interesting collection of red brick buildings that once served as a bustling center of commerce for Savannah's cotton brokers. Named for Irish orator Robert Emmet, the park features the Old City Exchange Bell and numerous memorials and monuments, including the Irish Monument, Vietnam Veterans' Memorial, and Hussars' Memorial. 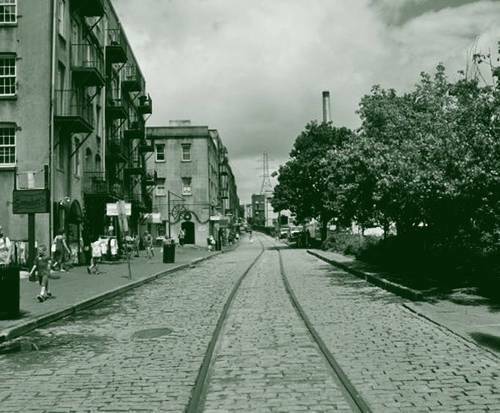 Emmet Park remains a prominent center for ceremonial congregations for Savannah residents of Irish descent. This popular restaurant opened in the 1970's was built by a local plantation owner in the years before he moved inland due to religious reasons. It reflects the rich history and wealth brought by cotton plantations, and now serves as a popular tavern and haunted hotspot. Opened in 1921 by Arthur Lucas and architect C&period;K. Howell, the theatre was designed to incorporate Greek Revival, Art Deco, Neoclassical, and Adams-inspired architectural styles. It's first screening was of "Camille", and quickly became a favorite local venue for movies and touring vaudeville shows. The theatre was restored over the course of 14 years, saving the building from demolition in 1986. Founded in 1741 by a small group of Lutherans, the Church of the Ascension's permanent building wasn't completed until around 1771. The church combines Gothic and Norman styles and features an Ascension window, with two stained glass panels on either side that depict Christ's life. During the Civil War, the church was used as a hospital and was renovated in 1879. These two monuments are prominent in the history of Savannah. The Old Harbor Light originally erected in 1858 as an aid to those navigating the river, and the Oglethorpe Bench Monument marks where General James Oglethorpe pitched his tent to rest on his first night in Georgia. Previously the site of a wood-frame home used by James Olgethorpe, the United States Customs House has seen numerous changes in building type and architecture, and is in the Greek Revival style currently, constructed entirely of stone. It was designated as a contributing building in the Savannah National Historic Landmark District in 1966. Dedicated in 1848, this church is the oldest Methodist church in Savannah, built of Savannah gray brick in a Greek Revival style. The first Methodist church, Wesley Chapel, was established in 1807 and moved from it's original location to a lot on Telfair Square, where a new building was erected. The two churches then merged into one, becoming known as Trinity Church. Erected in 1899, this monument memorializes Tomochichi, the Mico of the Yamacraws, and his immeasurable assistance to English settlers upon their arrival in 1733. At the age of 19, Florence Martus began waving at all of the ships entering and leaving the Port of Savannah. Her brother served as a lighthouse keeper on Elba Island, and Florence is said to have never missed a single ship over the 44 years she spend on watch. The temple is the only solely Gothic Revival synagogue in the US, and was founded by a group of Sephardic Jews who landed in Savannah shortly after General Oglethorpe. The church was built in 1820 and was later renovated to it's current state in 1878. The newest and most contemporary of three Telfair museums, the Jepson Center is devoted to the art of the modern day, and helps round out the continuum of history and art in Savannah with it's fellow museums, the Telfair Academy and Owens-Thomas House. This museum was once a classical mansion completed in 1819 and is one of the oldest art museums in the South. It was home to the Telfair family until Mary Telfair, the last of the Telfair line, left the house and it's belongings to the Georgia Historical Society in 1875. It has served as a regional and national resource of art, history, and culture, and has been carefully restored to provide the perfect backdrop for the museum's collection of paintings, silver, furniture, and more. This site has been home to three forts, the most current being a replica of the fort originally constructed by Major John Whistler and his mean in 1815-16. The fort was designed specifically for defense against Native Americans, and could be manned by a small group of men. Located in the William Scarborough mansion, this museum is home to a vast collection of maritime antiques, paintings, and ship models, among other educational artifacts. It offers educational tours and student programs to visitors, as well as classes on sailor's valentines, the art of scrimshaw, and painted merchant signs. It was designated a Historical Landmark in 1974 and opened to the public in '76. Constructed in 1853, the original building features handmade Savannah gray brick and stands as the oldest surviving railroad depot in the country. It was transformed into a modern museum building in 2011, and showcases work from well known artists, mounting over 20 new exhibitions per year. Noted as Georgia's first hospital and second oldest continuously operating hospital in the US, Candler has been recognized in offering the finest primary care, general surgery, outpatient, and women's and children's services for years. First established in 1804 as a hospital for sick seamen and located in a private home, it's first official hospital building was erected in 1872. Built and completed in 1852-53, the Episcopal church was designed in the neo-Gothic style and is known for it's ringing chimes and glimmering stained glass windows. Interestingly, a ship's mast is located in the center of the churches only spire. Lit by the Olympic Flame in 1996, this monument stands at the site of the Olympic Yachting events, and was designed to show Greek heritage and influence in it's columns as well as representing the Olympic rings and yachting events in the form of six sails and five fluted columns on the statue. Standing as one of the largest Confederate monuments in Savannah, this memorial stands where soldiers drilled before being sent off to war. A bronze soldier stands atop the base facing north, following a long-lived tradition of placing a statue to face the enemy. The original monument, unveiled in 1875, was of two statues named "Judgement" and "Silence". The current monument was unveiled in 1879. This historic building, erected between 1903-06, stands as a testament to the progressive tendency of Savannah. It's founders strived to achieve a greater Savannah, and succeeded in doing so years later. This historic church has seen numerous locations and buildings, and it's present location was set aside by General Oglethorpe to be the colony's first church. The building is the fourth to be built on the site and dates back to 1838. Located in the Northern Historic District, the Bohemian Hotel sits above 18th century cobblestone streets and stays true to it's original maritime style, with vintage furniture and decor inspired by the British soldiers that first landed on the Savannah River in 1733. Home to the Chamber of Commerce and the Savannah History Museum, the Visitors Center was built in the 1850-60's and was originally used as a terminal of the Central of Georgia Railroad complex. The building features soaring archways and high ceilings and was used by the railway until 1972. One of the many National Historic Landmark sites in Savannah, this museum is the oldest and largest existing railroad complex in the nation, dating back to the 19th century. It once handled passengers, maintenance, and freight, among other things, at a single location. Today, many of it's buildings hold exhibits like the roundhouse and operating turntable, and guests can see locomotives, rail cars, model railroads and more when visiting the museum. Laid out in 1734 and named after one of the least popular colonial governors, John Reynolds, this handsome square is home to the Pink House/Habersham House and Restaurant, and was once the site for the Filature for silk making. It is also home to the Oliver Sturgis House, one of Savannah's most architecturally important homes. Known as the oldest bell in Georgia, this bell was constructed in 1802 and hung in the City Exchange Building. It now rests in a replica tower in a public park. On either side of the bell are two urns, brought to Savannah in 1858 by ambassador to Austria, General Henry R&period; Jackson. Built onto an existing 19th century mansion, this luxury hotel was opened in early 2005 after adding onto the original 1888 home, paying careful attention to the exact building material used in the first mansion. Also called the "Water Tower Square" or "Reservoir Square", this square was home of Savannah's water tower for many years. It was destroyed in 1935 when Montgomery Street became a federal route, but the square and surrounding area were restored to commemorate the founding of Georgia in the 1980's. This city park occupies nearly 30 acres and is home to numerous walking paths, a Fragrant Garden for the blind, Forsyth fountain, and a children's play area, among other family friendly locations and events. Some of the interesting things you will see within the park include the fountain and the Confederate Memorial. This local favorite rests in the Northern Historic District, and has been a fantastic staple in Savannah since it's early founding. Offering authentic and fresh seafood meals and appetizers, this is a fantastic stop for any local or visitor to the area to grab a bite while taking in the history of the surrounding district. Dating back to the early 1700's this four-block area is one of the nation's largest Historic Districts, and is presently the result of a rehabilitation project started in 1985, established as a popular destination for entertainment, dining, retail, and art in downtown Savannah. Throughout it's history, the City Market has been a social and commercial center in Savannah. Built in the 1870's, this Roman-Catholic church was nearly destroyed by a fire in 1898, but was immediately rebuilt using the original plans. It boasts impressive stained glass windows installed around 1900 and is home to the oldest Roman-Catholic church in Georgia. Laid out in 1790, the square was named for Revolutionary War general and president George Washington. Each home surrounding the square either has a unique trait or was home to historical persons or their families, creating a neighborhood of surprising historical quality. This historic square was one of the first laid out in Savannah, and is still the largest, laid out in 1733. It is the center of the Derby Ward, a place that boasted numerous public stores and general community maintenance like places to get water, get the time of day, bake bread, and post public notices. You can view a plaque and mosaic map of the early city while visiting the square. Originally laid out in 1733 and named Percival Square for Right Honorable John, Lord Viscount Percival, Earl of Egmont, the Georgia Trust President, Wright Square was later renamed for Sir James Wright, the last Royal Governor of Georgia. The square was originally home to the grave site of Tomochichi, but was changed to house a courthouse in 1898 and Tomochichi's bones and grave moved elsewhere. Named a National Register Historic District in 1997, this historic district boasts a collection of buildings of historic, commercial, community, and residential importance. It is home to numerous architectural styles such as Italianate, Neoclassical and Colonial Revival, and Craftsman style, and is also home to community landmarks like Herme's Bakery. This historic landmark represents George Washington's thanks to Savannah for their warm welcome in 1791. He was welcomed with military salutes, formal dinners, a ball, and a boat parade, and sent two bronze cannons as a token of thanks. Two historical markers on-site explain the significance of the cannons. Monterey Square was named in commemoration of the capture of Monterrey, Mexico in 1846. It is one of the most well known of Savannah's squares, and is home to the house of Jim Williams, famed by "Midnight in the Garden of Good and Evil". Between 1733 and 1748, the Trustees' Garden was used to grow essentials to silk culture, including peaches, rice, flax, hemp, indigo, and mulberry trees. One of the gowns for Britain's Queen Caroline was made from Savannah silk. The Garden has seen numerous changes, from residential lots, a seamen's tavern, the Kehoe Iron Works, and more. Built between 1916-1919 for George Ferguson Armstrong and his family, the Armstrong House has gone through a series of interesting transformations, housing numerous causes such as a college, senior college, antiquity shop, and law firm. To this day, it houses a powerful law firm but has kept it's original Italian Renaissance style, and combines the beaux art style with elaborate, worldly, and classical elements. Although the church was established in 1774 by George Liele, it's current building was not built until between 1859-61. Many of the men and women who built and preached at the church were slaves, and was the first building owned by African Americans to be made of brick. The church was used as a haven for runaway slaves during the turbulent years of the Civil War, with a place to hide between the basement and the building foundation that measured about 4-ft high. Columbia Square and Ward were laid out on Habersham Street in 1799, and boasts both historically and architecturally fascinating homes. The name was derived from a post-Revolutionary patriotic fervor, popular at the time. One of the most important homes on the square is the Davenport House, once home to a master builder in the 1810-20's and saved from demolition around 1955. This helped start the Historic Savannah Foundation, and the home is now the foundation's headquarters. Combining Grecian detail with the Italian Villa style, this house is a stunning example of craftsmanship, boasting exquisite ironwork balconies. Built and completed between 1848-49, the house was for Andrew Low, a cotton broker hailing from Scotland. One of the numerous prominent visitors to the house is William Thackery, who visited in 1853 and 1856 while on lecture tours. Named for it's benefactor, Peter Massie, the center was used as a school until 1974, and is Georgia's oldest continuously operating school. It is now home to exhibits such as documentation of the architectural influence from Greek, Roman, and Gothic cultures, and houses period costumes and other examples of living history. The museum also hosts an educational program that lets students experience a 19th century school day. Named for the 2nd royal governor of the colony of Georgia, Ellis Square was the third square to be laid out by Oglethorpe in 1733. Originally called Decker Square in relation to Decker Ward, the square was renamed later in honor of Sir Henry Ellis. Now a house museum, the Owens-Thomas House was built in 1819, and according to several accounts, a ghostly figure of a man has been haunting the building since the upper floors were being used as apartments. Even now, the staff occasionally hears the sounds of footsteps, noises that they assume originate with straggling members of their tour group, only to find that there are nothing but empty rooms. The Mercer House, now the Mercer-Williams House Museum, was the scene of the shooting death of Danny Hansford, a story that is retold in the 1994 John Berendt novel 'Midnight in the Garden of Good and Evil.' Before his death, the house had already been the scene of two deaths: In 1913 a previous owner tripped over the second floor banister, fractured his hip, and suffered a concussion, dying three days later. In 1969, a boy chasing pigeons on the roof fell over the edge and impaled himself on the iron fence below. Established in 1750, the Colonial Park Cemetery functions as an anchor location for Savannah's early haunted history, and it is also where the infamous Jesse Greathouse video was filmed in 2008, which has become one of the most compelling and controversial pieces of evidence for life after death currently available. The Birthplace of Juliette Gordon Low, founder of the Girl Scouts, was constructed in 1821. This house is an incredibly popular spot for the ghost tours in Savannah. Sarah, Juliette's grandmother, is said to still haunt the old mansion, and now that the building is a house museum, it is entirely possible to catch a glimpse of Sarah while on tour. The Pirates' House, constructed in 1794, was originally a bar and boarding house for sailors. Reportedly, the basement was used to shanghai unwary (and unconscious) men through a secret tunnel which led to the Savannah River. These men were forced into seafaring service against their will. Built to be a private residence by Isaiah Davenport, the Davenport House is now a house museum and is home to several different ghost stories, including the most famous story surrounding a cat. While there is no cat living in the Davenport House, many visitors have reported seeing a cat run from room to room or sit in the window sill and watch the people walk by outside. Our guide was so delightful and funny. Most entertaining trip. We had the best time and our guide was amazing! The guide was very knowledgeable and thorough. Questions asked were answered and all enjoyed a great time getting to know savannah.